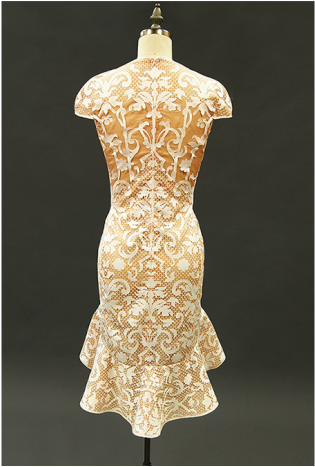 The concept of this dress was to create a delicate lace dress for special occasions combining aesthetics with technology, digitizing of the patterns and laser cutting. 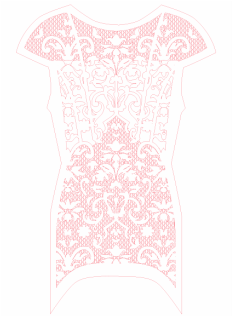 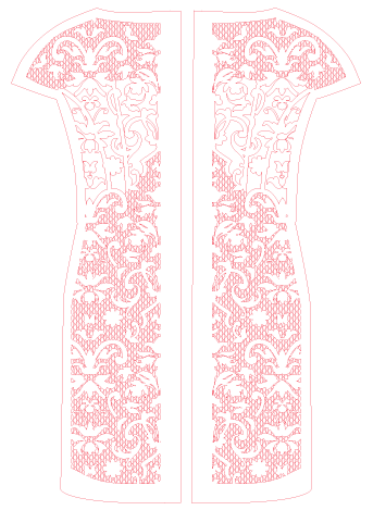 The feeling of happiness, elegance, and romance derived from the white lace wedding gowns were transferred into a wearable dress by designing a repeated lace-like fabric combining a damask-inspired pattern and a punched oval pattern using illustrator software. 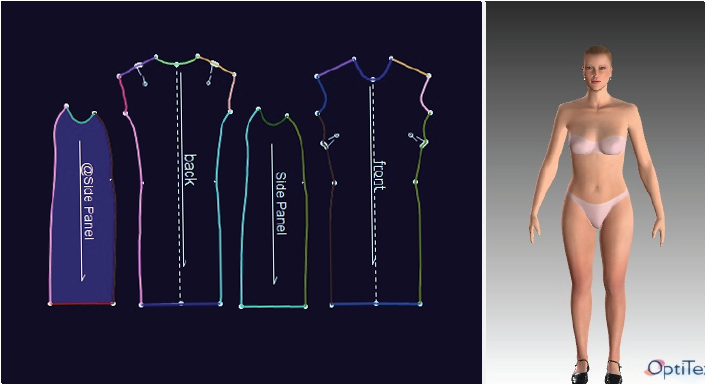 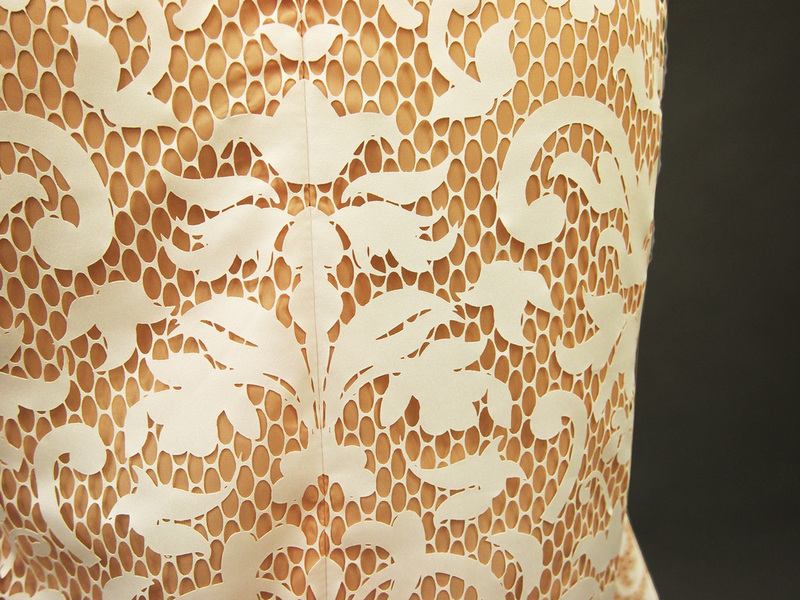 The design of the lace-like fabric contributes to the field of textile and apparel design in that this is an innovative application to replace existing textile process for the lace fabric. 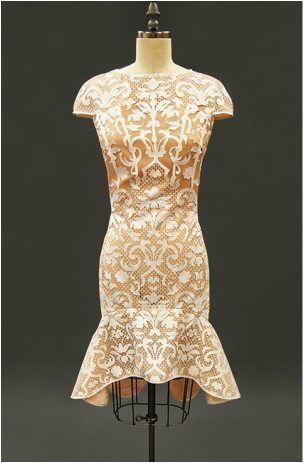 As a result, the dress looks more elegant with the glossy surface of the lace-like fabric than with the knitted or crochet lace fabric. 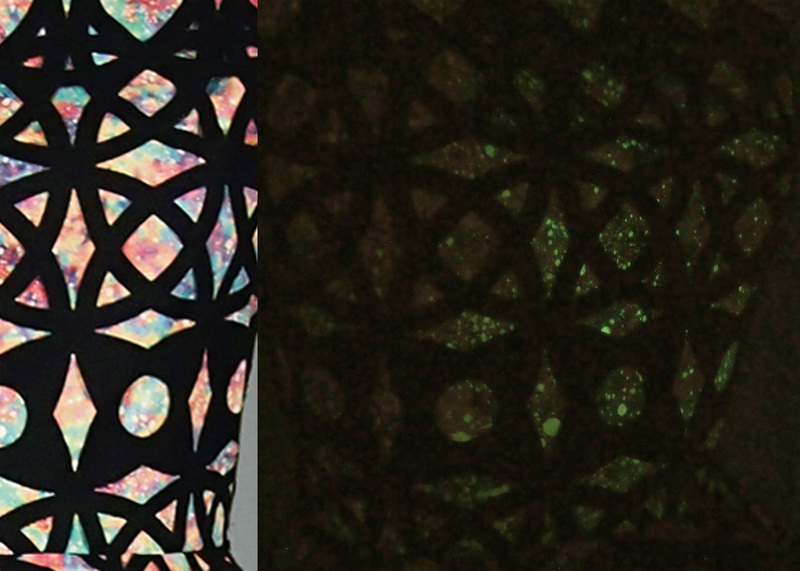 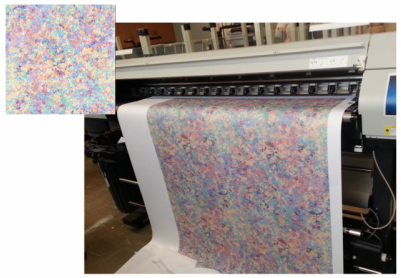 A designed print repeat pattern using Adobe Photoshop (on the left) and digital printing the repeat pattern using a printer (Mimaki TX2-1600) after merging the Optitex patterns with the repeat print design (on the right). 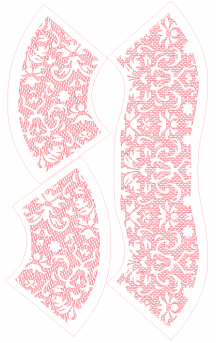 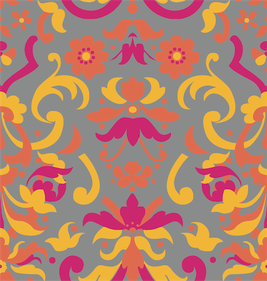 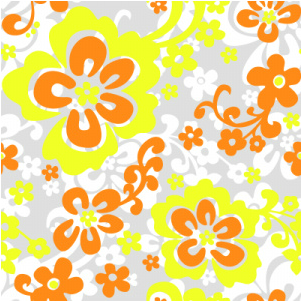 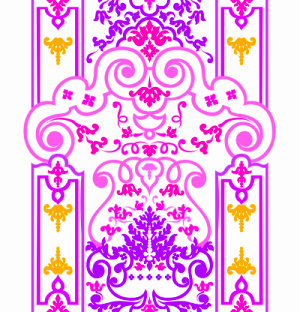 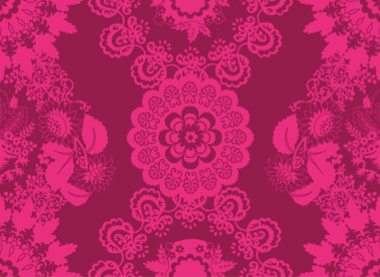 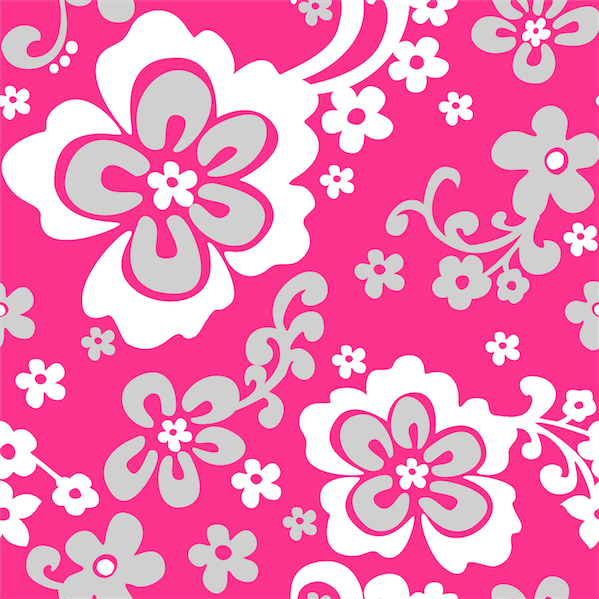 A designed repeat pattern for laser cut in Adobe Illustrator. 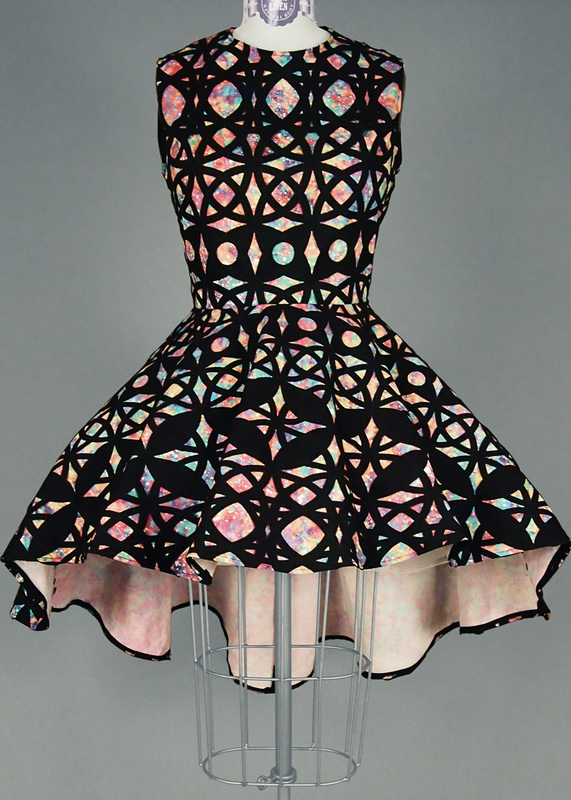 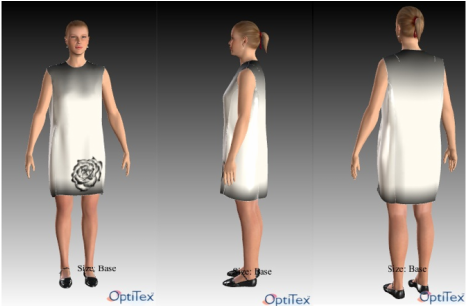 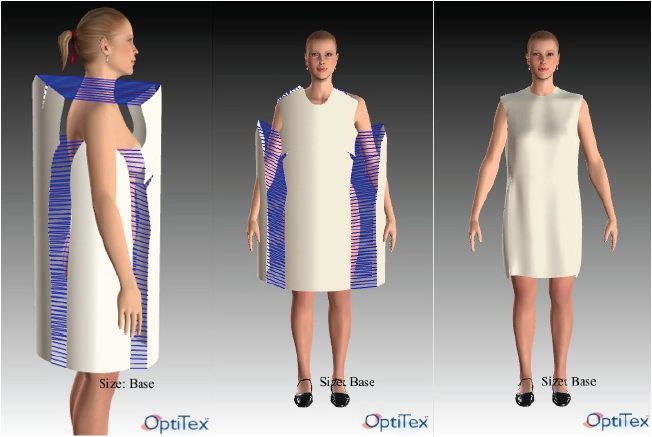 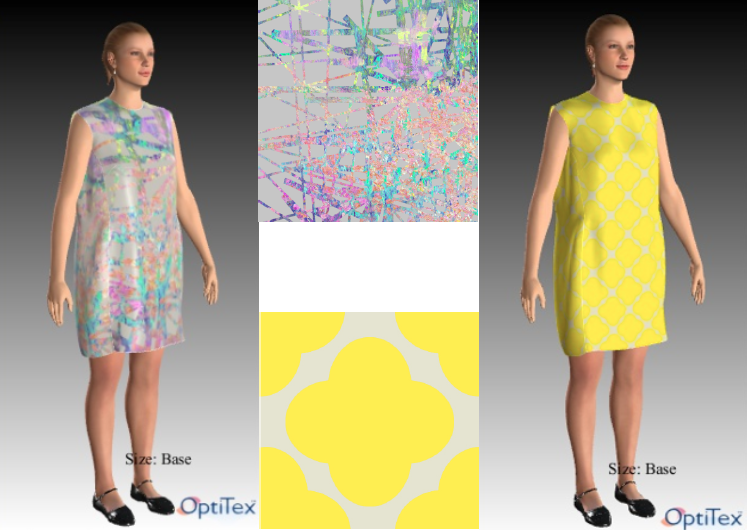 The digitally printed patterns by merging with the flat garment patterns of a front bodice and skirts (front and back) created from Opti-tex. 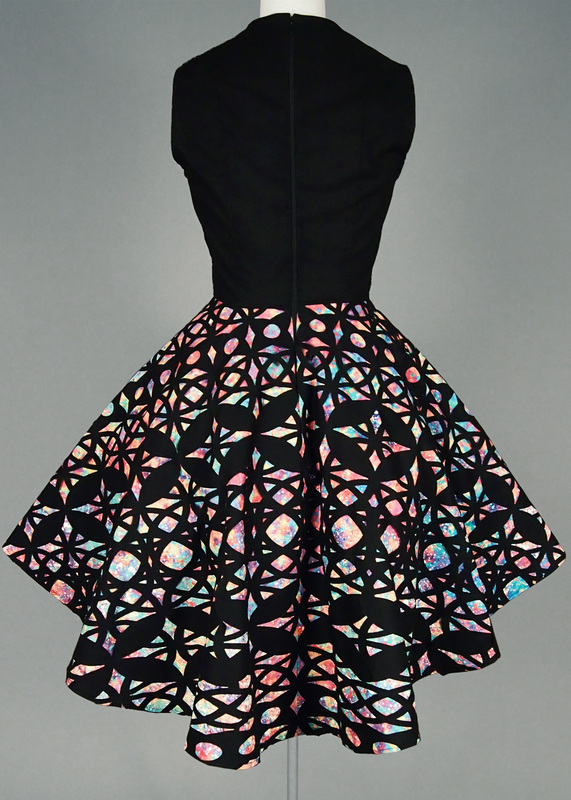 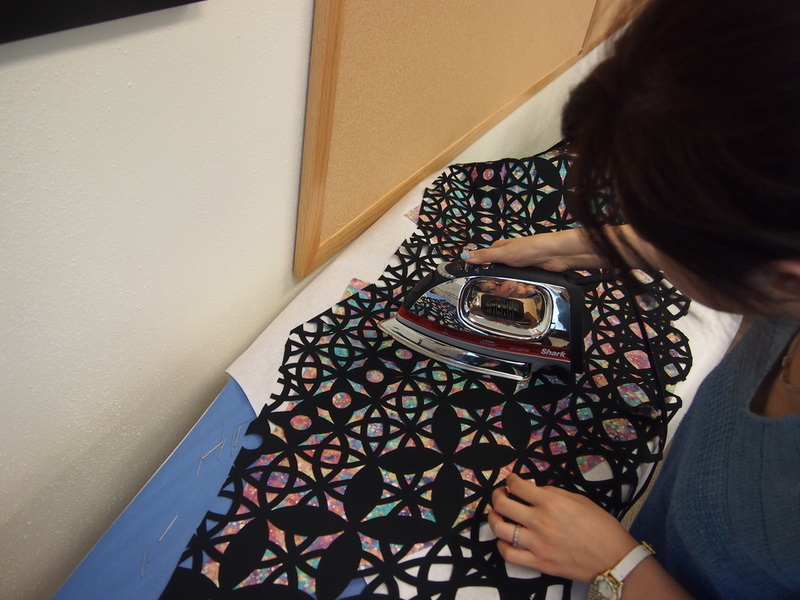 Ironing a multi-piece of laser cut garment on the digitally printed patterns (Skirt-front) using small pieces of fusible boding web. 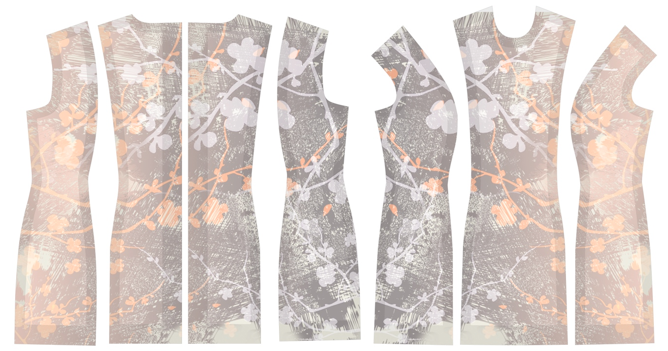 An Image Map of Sakura Bloom. 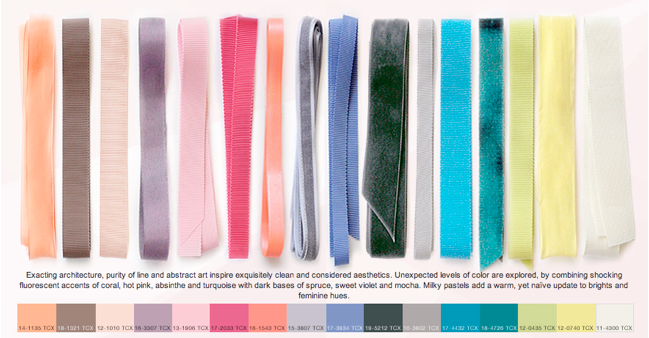 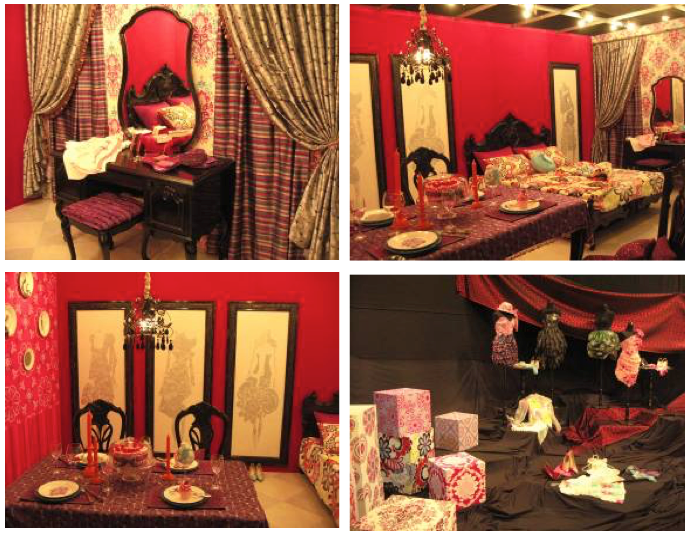 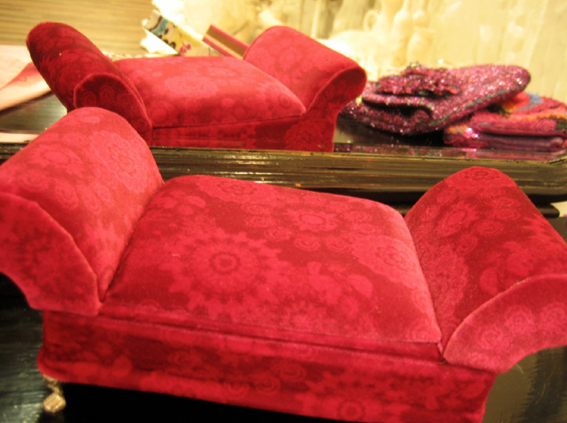 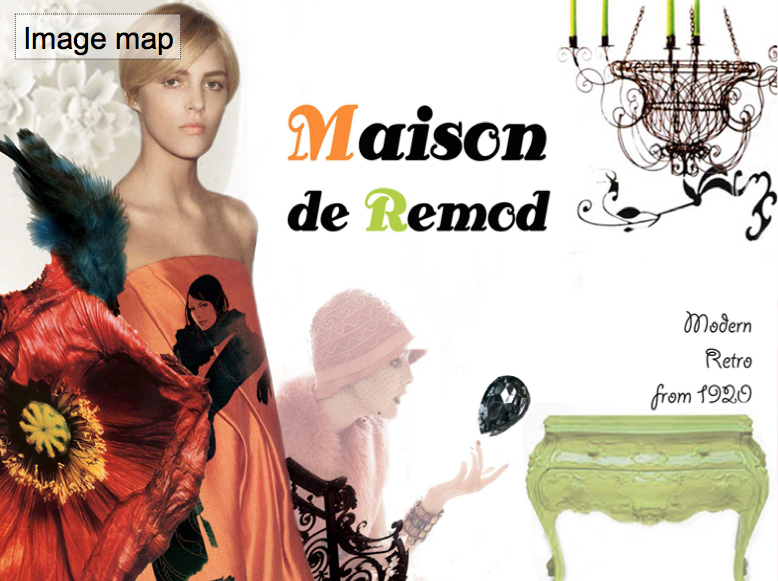 Remod: Modern + Retro -- Remodeling things based on the past inspired by 1920's Art Deco and Paul Poiret. 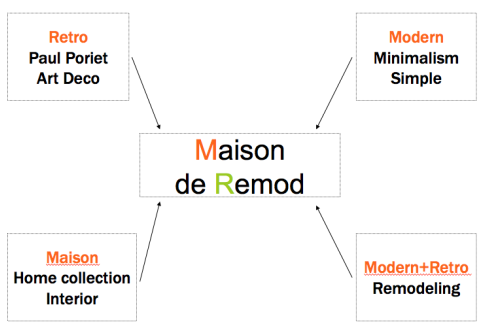 An image map for the theme of Maison de Remod (on the left) and keywords (on the right). 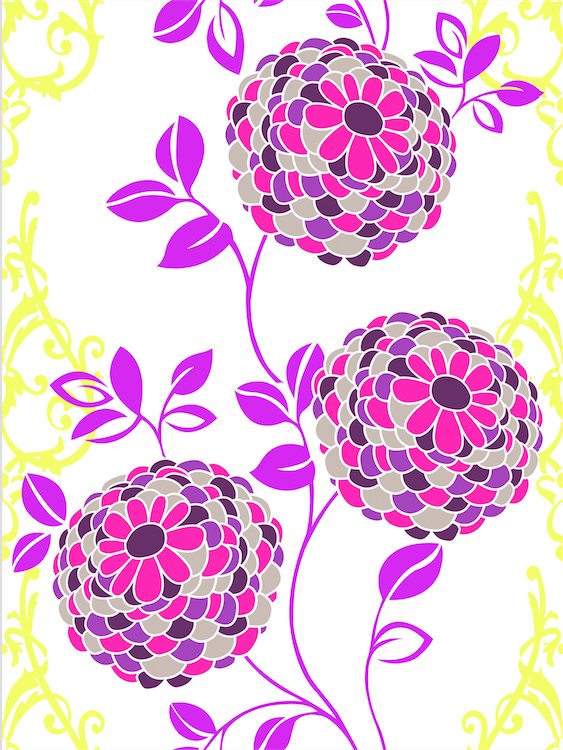 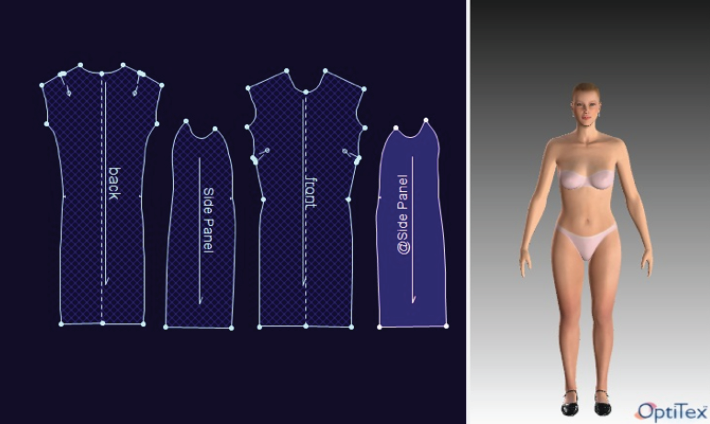 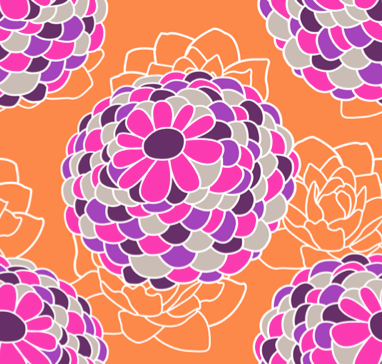 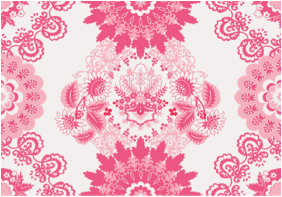 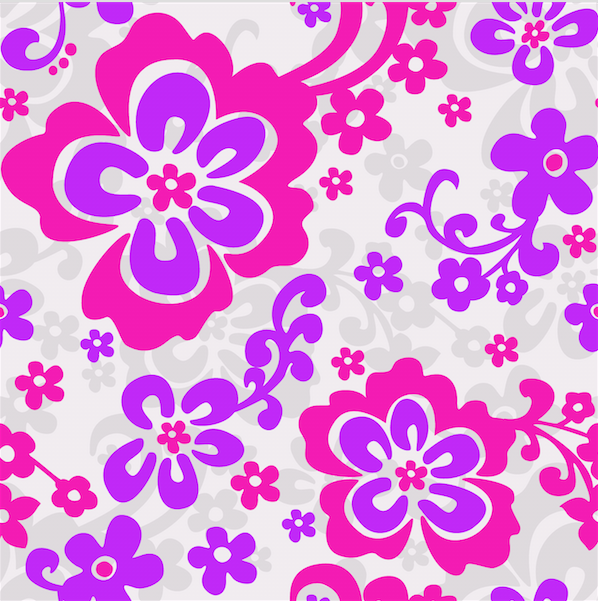 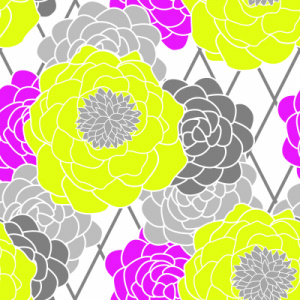 The digital textile design of Art Deco flowers (on the middle) inspired by the Art Deco flower pattern (on the left) and engineered the design on the silk blouse patterns (on the right).